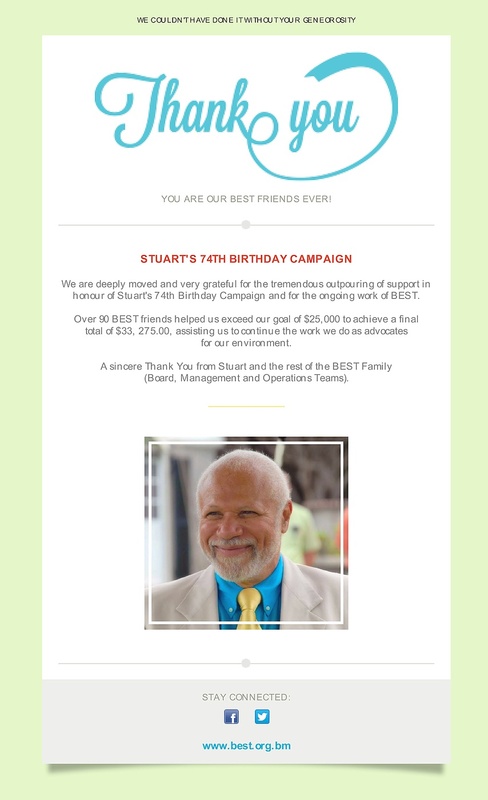 Announcing Stuart’s 74th Birthday Campaign. We’re celebrating Stuart Hayward & his 40 years of actively protecting & preserving our island environment, with a very special 74th Birthday Campaign. Send your thanks & best wishes! As one of Stuart’s BEST friends, you’re invited to ‘show him the love’ by making a donation to raise $25,000 for his favourite cause, BEST. Help make all of Stuart’s birthday wishes come true by sponsoring the work that he loves; the work that benefits all of us. Wish Stuart happy birthday and help Bermuda. We are asking 74 BEST FRIENDS to help Stuart raise $25,000. Donations will be accepted until June 10th, but we hope you’ll make your donation by May 19th, his birthday! Join us for Stuart’s Birthday Party Thursday, May 19, from 12 noon to 3pm at the BEST Offices in the Cedar Park Centre, Cedar Avenue, Hamilton. Enjoy cake & refreshments & celebrate with Stuart & his BEST friends. Make a donation online by clicking HERE | Direct Deposit to: Butterfield Bank a/c# 20-006-060-625713-100 | Present a cheque or cash donation to BEST’s offices In Hamilton. One week ago today, a small, intimate gathering was held to celebrate the 74th birthday of Stuart Jackson Hayward, who was born in Bermuda on May 19th, in 1942. 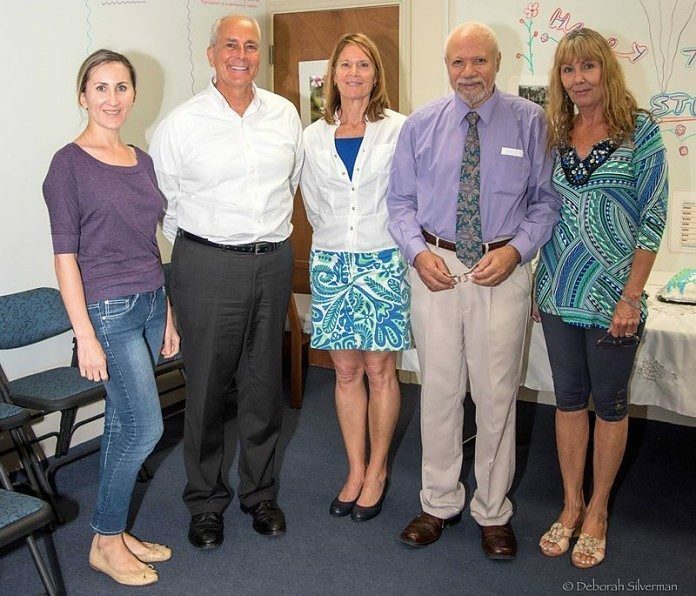 Despite heavy rain, several invited guests made their way to Bermuda Environmental Sustainability Taskforce (BEST) offices on Cedar Avenue. Undeterred by the inclement weather that day, they came to extend personal birthday greetings to the man who, for more than 40 years has “built a reputation as an environmental activist and educator”. Donations for a major BEST fundraiser to celebrate another milestone are being accepted until June 10th in honour of Stuart’s birthday. 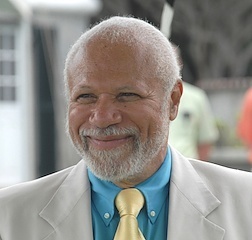 Formed in 2007, BEST is a registered charity and limited liability company committed “to preserve and enhance the quality of life in Bermuda for present and future generations by engaging with the community to advocate for sustainable management and development of the physical, social and economic environments”.